I’m reminded of a Windows Phone app every time I use Microsoft Intune that has the same name, but has absolutely no correlation at all to the Microsoft cloud service that is best known for device management. It came about as I wanted to install the Intune cloud management app on my Windows Phone, and all I could find in the sad demise of application availability, was a guitar tuning application titled Intune. You might remember a blog post I wrote about the evolution of Configuration Manager and how it has evolved from a stagnant app (from SCCM 2007) into something that has the traits of a true cloud application. I mentioned Intune in that article (no…..not Intune’s) and after having attended some sessions at Ignite this year, I have investigated some of the great improvements around Configuration Manager and Intune integration, and how Microsoft is bringing these two together in a far more meaningful way. What I was also reminded of was, the frequency with which changes were taking place in the Intune space. To the point, if you’ve looked at Intune over 12 months ago and dismissed it as an immature device management solution, it’s worth taking a look at this page to see how often the team are releasing updates to the solution https://docs.microsoft.com/en-us/intune/whats-new . You’ll notice the frequency of releases on the right side of the page – click out of this post (but promise you’ll come back) and have a look. Weekly. Sure, some of those feature releases aren’t huge. But granted, measuring feature releases in weekly terms is a huge commitment to what is the benefit of a real cloud service and a service that you need. Particularly when it comes to supporting and managing mobile devices that change their management structure, (think Android Enterprise and Android for Work… seriously marketing?) and release new OS software themselves regularly. It’s almost at the point where if you don’t see a feature you require, support will suggest you visit the Intune feedback page and request that feature. But Intune is going far beyond Mobile Device Management into the realm of device management cross platform (with the help of a strategic partnership with Jamf) to support modern management and provisioning of devices as well. Sure, there is a reason to stay the course if you have Configuration Manager installed to manage on premises Win32 environments. But Microsoft have cleverly placed integration of Configuration Manager with Intune (in just four clicks – thanks Brad Anderson https://techcommunity.microsoft.com/t5/Enterprise-Mobility-Security/Co-Management-is-Instant-and-Easy-With-Just4Clicks/ba-p/250539) to give you a way to get the benefits of feeding that information into Intune, to improve support and management of devices. All without changing anything you do with Configuration Manager management (OK maybe a few changes depending on the depth of your Configuration Manager implementation). One of the big benefits that I am a fan of is the compliance policy component for Windows 10 endpoints and its integration with Conditional Access to provide some really powerful access policies, while maintaining the richness of managing those endpoints with Configuration Manager. If you visit the Ignite 2018 page you can watch that session “BRK3021 – Attach the power of Microsoft 365 cloud management and security to Configuration Manager” from Tristan Scott and Heidi Cheng. And of course, those powerful conditional access policies cover mobile device management as well. ….and it wouldn’t be a blog post if I didn’t mention Windows Defender Advanced Threat Protection and the integration components with Conditional Access to provide risk based Conditional Access policies. And while not strictly part of Intune, they do fall under the banner of the Enterprise Mobility and Security suite – so that’s my excuse for adding it in! Intune isn’t just another app. The feature release list and devicemanagement.microsoft.com console is a good example of this and the direction that Microsoft is taking to improve and integrate, not only Intune and Configuration Manager, but across the board for Identities, Endpoints, User Data, Cloud Apps and Infrastructure solutions. It’s a good thing there isn’t any conditional access policy on getting my bacon and egg panini for breakfast! 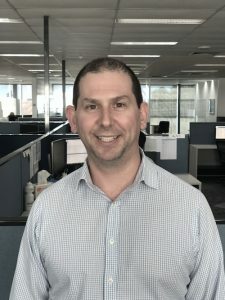 Prior to being the Practice Lead System Management and Cloud expert, Danny was a Novell NetWare engineer and spent time working as the leader of system management at Methodist Ladies’ College. He then continued onto being the network IT manager at Wesley College Melbourne, managing a team of 17 IT technicians. These fine places introduced Danny to new people, big ideas and global concepts that have helped shape the person he is today. Microsoft guru and Industry leader in ICT solutions at Jasco Consulting, Danny Grasso has the capability to provide some of the most renown companies with expert solutions that sit well within their values and vision. A competitive Xbox gamer who also loves pizza, tequila flavoured beer and, of course, his wife and two kids.